The Kentwood Show Choir, from Swindon, Wiltshire, is like no other choir you will ever have seen before! Led by the inimitable Sheila Harrod, and accompanied by a trio of excellent musicians, the Choir delivers songs from its vast repertoire with energy, passion ,movement and style. From blues to ballads, showstoppers to swing, and classics to chart toppers, the Choir creates a sound that can take your breath away. Then one of the many talented soloists will step forward to deliver a performance that would take some beating on the West End stage. Many of the songs featured have been specially arranged for Kentwood by both local and nationally acclaimed musicians, including top West End musical director Paul Maguire and ex-Kings singer Bob Chilcott. From humble beginnings in 1964, Kentwood has progressed to becoming one of the country’s leading show choirs. They have performed in Germany, Austria, California, Poland, Romania, Ireland and Spain. Through its concert programme, the Choir has helped raise over £1million for local and national charities. Kentwood’s Annual Show at Swindon’s Wyvern Theatre is a true extravaganza, with professional lighting design, sound and choreography combining to produce sell-out runs which regularly receive rave press reviews. In recent years, performances have been given in Guildford Cathedral, Salisbury Cathedral, The Great Hall in St Barts, London, Theatre Royal, Windsor and the Royal Albert Hall (with Dame Cleo Laine and Sir John Dankworth). National television appearance include Bob says Opportunity Knocks, Noel’s House Party and Songs of Praise. 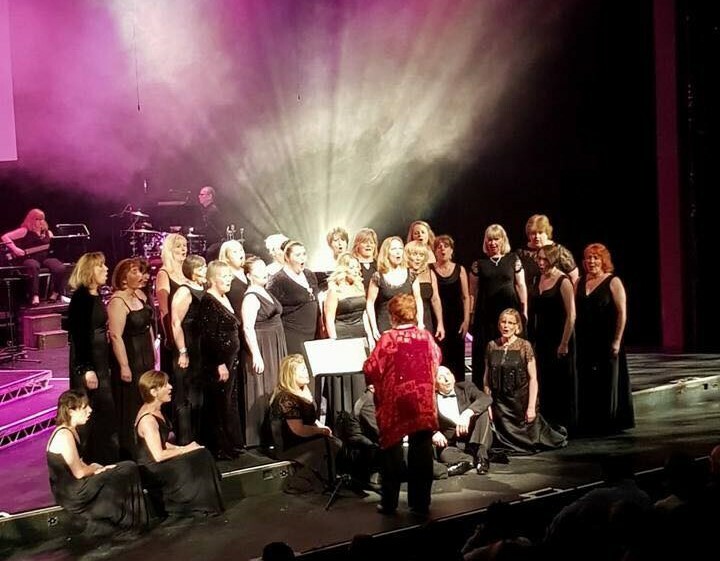 All singers receive regular musical tuition from Kentwood’s founder and leader, Sheila Harrod, and the choir has recently benefited from voice workshops given by top vocal coach Gillyanne Kayes and composer and conductor Bob Chilcott. If you’re looking for a professionally presented musical experience with broad appeal, you’ll find it here! Many of our supporters will remember The Bean Family (Clarry, Christine, Danny and Abby) who sang with Kentwood for many years. Unfortunately Christine passed away last year after several years of illness. Clarry has decided to pay tribute to Christine in the most fitting way, by writing and recording a Christmas single to be released on 7th December 2018, entitled ‘Christmas (The Way It’s Meant To Be)’. The song also features their family and many of their closest friends, including some past and present members of Kentwood. The CD release of the song will also feature a bonus track: a remastered version of Christine singing ‘Fields of Gold’, featuring a newly recorded piano accompaniment by Sheila Harrod. 25% of all proceeds will be divided equally between Vasculitis UK and the Prospect Hospice, two registered charities which gave valuable support to Christine and her family. There will be an opportunity to hear and purchase a CD during the interval at the Kentwood Cracker on 25th November. Want to be kept up to date with Kentwood Show Choir? Please add your details below and we will add you to our list.